Emerging markets may export Toyotas to U.S.
TOKYO -- Toyota Motor Corp.'s new blitz to gain business in emerging markets could pave the way for exports from those regions to the United States, executives say. Toyota unveiled plans late last month to introduce eight compact models for customers in India, Brazil, China and Southeast Asia by 2015 as it plays catch-up to global rivals such as General Motors and Volkswagen Group in those markets. The new vehicles should deliver additional sales of 1 million a year in that time frame, said Yukitoshi Funo, executive vice president for emerging markets. The blueprint calls for expanding production capacity in emerging markets to 3.1 million units in 2013, from 2.4 million in 2010. Toyota also wants half of its global sales in those regions by 2015, up from 42 percent in 2010. Toyota has no concrete plans to export from those areas to the United States or other developed markets. But the expansion opens the door to the possibility. 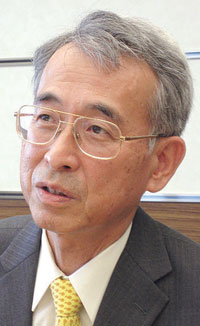 Kazuhiro Kobayashi, managing officer in charge of product and business planning for emerging markets, said, "Once we have the ability to produce good cars in emerging countries, those cars would also be able to attract interest of customers in the United States, and therefore we would like to consider such a policy." He added, "If we can identify good opportunities, we will pursue further such international mutual complementation." Toyota exports some vehicles to Europe from Thailand. Other carmakers also are exploring exports from the region in an effort to offset foreign exchange losses from exporting from Japan in light of the yen's unfavorable exchange rate against the dollar and the euro. Funo cautioned, though, that much work must be done before cars made in emerging markets are ready to sell in markets such as the United States or Japan. Customer preferences and legal and regulatory differences must be considered. "The hurdle that has to be overcome is pretty high," he said. "Japanese customers care a lot about minute details and are very demanding. And it's the same in the United States."